DocuWare is a modular ECM/DMS system for the archiving or e-mail and documents in accordance with auditing requirements and for the distribution and provision of documents and data in companies. DocuWare offers easy and rapid access to documents and data via a powerful Web Client, via Windows Explorer, via Microsoft Outlook and also via most Tablets or Smartphones. 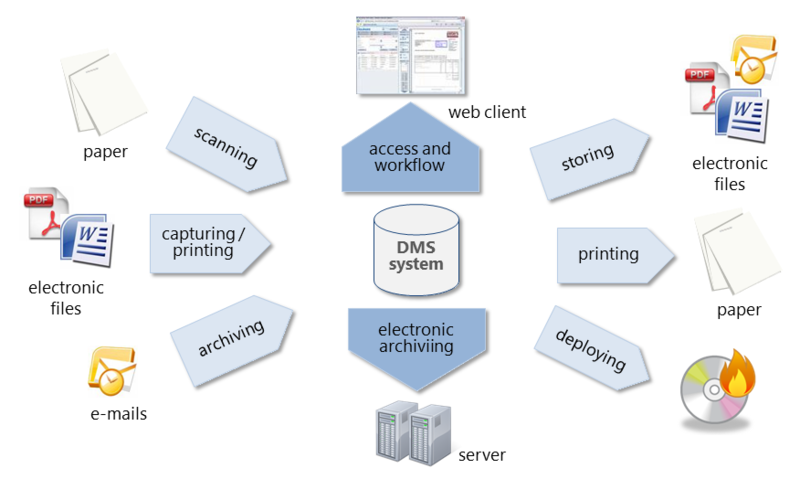 The central task of an ECM/D MS system is the capture, management, archiving and provision of documents and contents to support organizational processes in the company. This comprises the management and storage of business correspondence such as business letters or e-mails, archiving in conformity with auditing requirements and the provision of tax-related documents such as invoices or delivery notes; and the distribution of company-internal documents for information or approval. DocuWare consists of a central database-supported system for the archiving and management of e-mails and documents, also from various Clients and applications for storage, capture, research and retrieval. 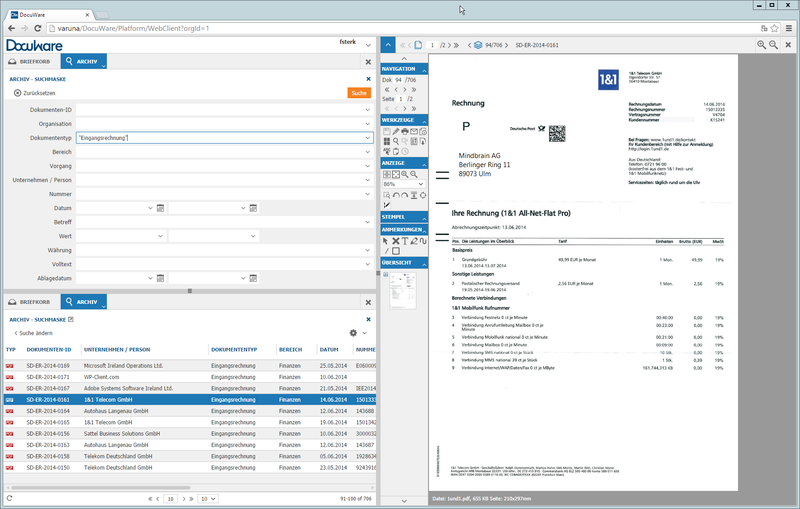 The central focal point is the DocuWare Web Client with which the user can search for documents and e-mails and display, approve, save, forward, print them, etc. Better structuring and documentation of work flows through processes that are supported electronically.